Hello! 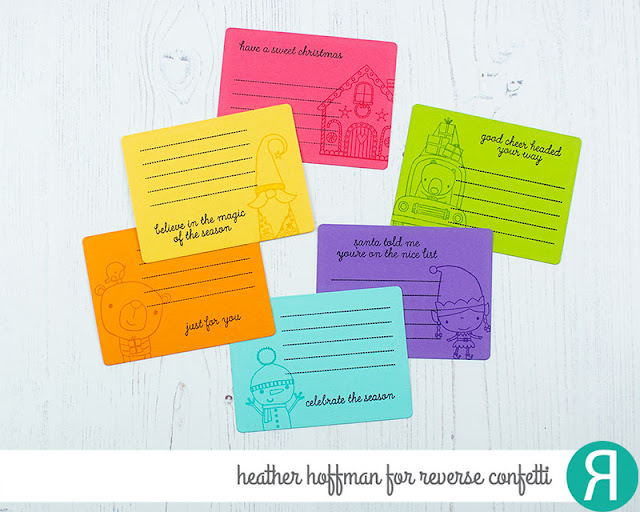 Heather here today to share some simple and fun little Christmas Note Cards with you - perfect for turning into a coupon to tuck into a stocking by writing a simple little gift on there (i.e. a free hug, a batch of cookies, night off from chores, etc...) - something we have loved doing as a family over the years! 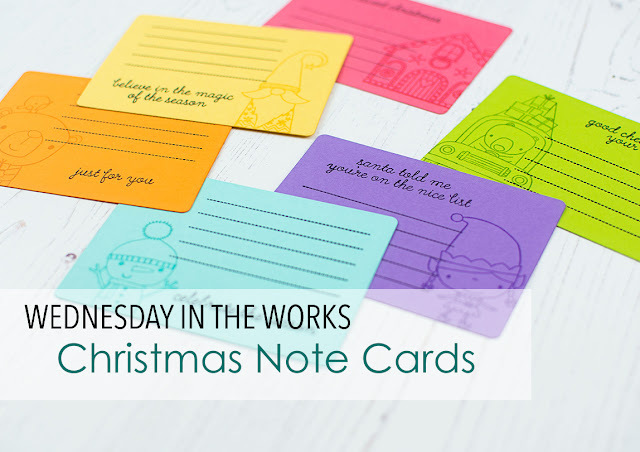 Or, you could tuck then into a lunchbox for those last few days of school before the holiday break, or use as gift tags as you wrap up those presents to tuck under the tree! As you can see - lots of possibilities! And also a great way to use some of those Christmas stamp sets one last time before tucking them away for next year! I used Kindness Cards Confetti Cuts to cut out my rainbow of cards - using the coordinating colors of dye ink to match each color of cardstock I used - Flamingo, Tangerine, Sunshine, Lime Green, Iced Aqua, and Grape Soda. 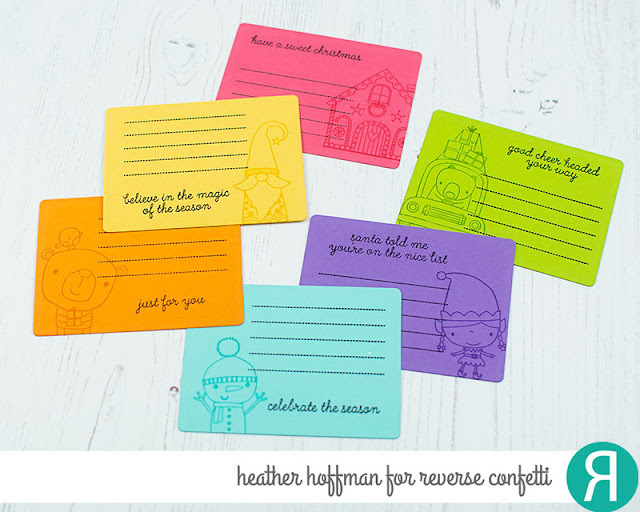 I used Kindness Cards Stamp Set for the dotted lines on each one, and a different stamp set for each image and sentiment - Sweet Holiday, Christmas Bear, Holiday Gnomes, Bearing Gifts, Cool Friend, and Christmas Cheer!